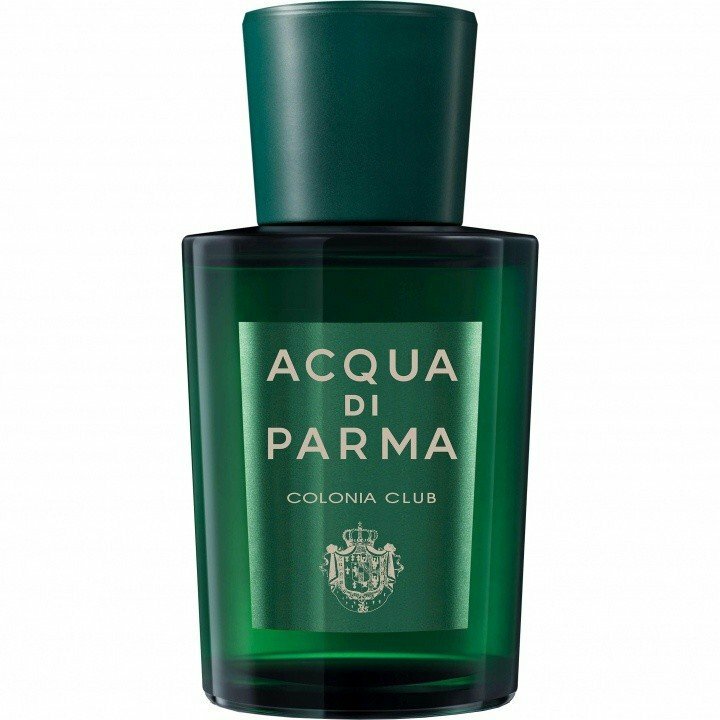 Colonia Club (Eau de Cologne) is a perfume by Acqua di Parma for men and was released in 2015. The scent is fresh-green. It is being marketed by LVMH. 35 years ago there was a legendary club that opened its doors to the world: its name was "Club Tropicana" and it only existed in fantasy because it was sung about in a song by the duo WHAM. It was a homage to the beautiful and carefree holiday season - interspersed with fine satire. "Club Tropicana, drinks are free. Fun and sunshine, there's enough for everyone..."
If I imagine perfumes for it, then from Versace "Dylan", Abercrombie & Fitch "Fierce" or Dolce & Gabbana "Light Blue". In other words: Here it smells sweet, colorful, pleasing and a bit loud. The "Colonia Club" also takes us into another world, but not into one where the lightness of being is celebrated, but where the beauty of the world is honored. Even if "Colonia Club" has a high durability and Sillage, it does not force itself on, but caresses one. In contrast to other perfumes, "Colonia Club" does not have this tangy aggressiveness in the top note. The fragrance has something of a fresh lemon cake with mint - in any case something mushy. 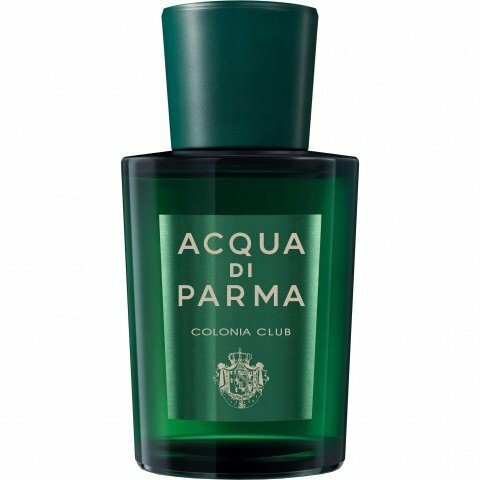 Even if this is not possible, many fragrances from Acqua di Parma seem to me to be more viscous than mainstream perfumes, because their various ingredients seem to merge into a pleasant mush. In the specific case of "Colonia Club", this takes away something of the sensory complexity of other high-quality niche perfumes, where there is certainly more to smell and discover. This olfactory environment of Acqua di Parma makes you feel less like partying: The "Club Tropicana takes place today without us. In the "Colonia Club", on the other hand, you can enjoy the Italian evening sun in style with a cocktail in your hand. For hours, you are surrounded by a cosy warmth that provides a positive atmosphere for yourself and the other club members - up to light approaches of happiness. Over time, when the citric opening notes diminish a little, the darker chords of mint and especially musk become established, further reinforcing the feeling of inner serenity. As Groucho Marx once said, "I may not belong to any club that accepts me as a member." Well, I belong to the "Club Colonia" for a long time, feel very well taken care of there and think that it will stay that way for a long time to come. Thanks in this connection also to the knowledgeable salesman of the perfumery Schnitzler in Düsseldorf, without whom I would probably not be a proud member of the "Colonia Club" today. Disclaimer: my notes are based on a Scent Bird sample and the impressions it gave me. I do not consider this a full review. • Classic barbershop frag that focuses on mint. • Yes, you’ve been here before, but should that promote aversion? That’s up to you. • For me, the mint hangs around until the basenotes become prominent. Your mileage may vary. • I was surprised at the longevity, though not at first. I found I was becoming anosmic within an hour or two. I’m told that it wears close (arms length) after the initial blast and isn’t overbearing—even when spraying fairly liberally (I like to be minimal and often only spray 1-3 times), spraying 5 times without much worry. Applying only 3 sprays to the back of my neck, I was able to retain the ability to catch silage for a full work day. • Almost out of my sample... I’m considering a full bottle. • If you like Creed’s GIT or Bleu de Chanel, I’d take a look at Colonia Club. It has that masculin vibe, without being overpowering; think Drakkar Noir... subtracting the POWER of an 80’s mustache and adding a minty edge. The opening of Colonia Club strikes me as an overpriced, apparently fancier but still quite cheap fragrant version of the almighty Proraso shaving cream, with that classic minty-citrus-woody blast rounded by a musky soapy feel. I mentioned Proraso but you can name any other popular, proletarian-to-middle-class old school green shaving cream/aftershave, mostly the ones in fashion in Italy and Central Europe from the Sixties on. The balsamic mintiness is quite powerful at first in Colonia Club, and I admit its realistic, nose-tingling, pore-unclogging vibrancy is quite enjoyable. But once that phase ends in a matter of minutes, all you remain with is a decent, mannered, really classic (and that’s good) desperately mediocre (and that’s bad) clone of a clone of any of the countless clones of any “classic green fragrances” from post-war aftershaves to Ralph Lauren Polo, Vidal’s Pino Silvestre or dozens of obscure “Aguas” from the Eighties, stuffed with synthetic musk with a whiff of carnation and green-earthy notes. Don’t get me wrong, Colonia Club smells linearly and flatly decent, but countless of other fragrances and aftershaves do this same exact job at a fraction of its price. 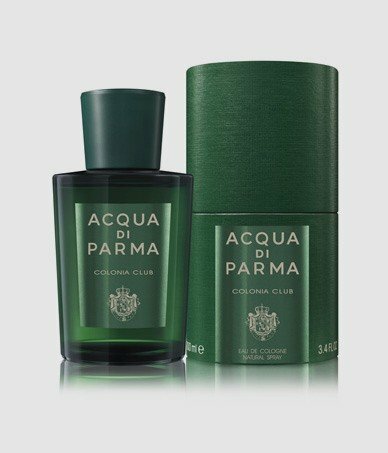 As for many other Acqua di Parma fragrances, I don’t really see the quality gaps or benefits justifying the cost. Citric notes and mint give a pleasant cool and fruity freshness. It's a pity that some synthetic note appears, which doesn't really fit in.